In this blog series, we debunk unreliable strategies for approaching various Logical Reasoning questions on the test. This week’s topic involves the strategy of reading the question stem first. It is a widely-adopted approach, presumably because it hints at the relevant task at hand: if you knew you’d be asked to weaken the argument before you read it, the story goes, you’d approach it from a different angle. 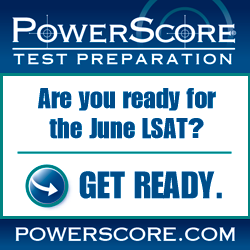 They key to answering any question on the LR section of the LSAT resides in the stimulus. Thorough comprehension of the argument is absolutely vital. This involves, at the very least, decoupling the premises from the conclusion, identifying any counterpremises or counterevidence, differentiating between opposing viewpoints (if any), recognizing any subsidiary conclusions, and understanding why the conclusion does not necessarily follow from the evidence provided (it seldom does). Meanwhile, you cannot afford to get “bogged down” in the language of the stimulus: as you read, you must focus on its structure, paraphrase complex jargon, and simplify abstract ideas without getting trapped in reductionist generalizations. By reading the question stem first, you add yet another cognitive task to this long list: rather than sharpening your focus, it is likely to distract you or even hinder your ability to understand particularly difficult arguments. No wonder the approach works on medium-to-easy questions, but it makes no difference when it comes to the harder ones. Not to mention that some question stems reference specific concepts in the stimulus, and clearly don’t make any sense on their own. Ultimately, you will probably read the question stem again whether or not you read it in the beginning, wasting valuable time in the process. While we see little benefit to reading the question stem first, you may be an exception to this rule. If you’re still on the fence about it, the best thing to do would be to try it both ways, and see what works – and what doesn’t. Just don’t wait until test day. Any changes to your general approach should be implemented with enough time to test it across a wide variety of question types and levels of difficulty. Photo: “What you need to know about food poisoning” courtesy of James Palinsad.